Time to update your wardrobe, but you’re too busy and/or you don’t know what you want? Not a problem, I’m here to help! Prior to our scheduled in-home style consultation, please complete the style profile below. This will allow me to better understand your personal style. During the consultation we will review how you feel about your current wardrobe, discuss what changes you want to make, and discover your ultimate wardrobe goals. After your in-home consultation we will assess your current wardrobe to determine your go-to pieces and what you haven’t worn for 6+ months. We will select everything you wish to keep, donate, or alter for a better fit. When our closet assessment is complete, we will review everything and create a new wardrobe based off of those pieces – incorporating staple pieces, trends, and decide where to invest or save. If personal shopping is for you, we will select the best option to fit your needs. 1: We shop together. We will schedule a time that works best for you. We will add pieces to refresh your current wardrobe, or build a new one with staple items and accessories. 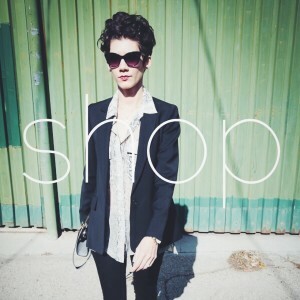 2: I shop for you. After our style consultation, I will shop for you. All new items will be delivered to your home for you to try on. You reimburse me for the items you keep. If you already have something in mind, but you can’t find it or have the time to shop for it – give me the list and I will get it for you.